The Cupertino Baha’i Community has about 30 adults and 15 children and youth, from diverse ethnic, age, and occupational backgrounds. We meet regularly at our homes to celebrate Baha’i Feasts and Holy Days. We are a “Baha’i Family” and welcome new members. For more information, please contact the Spiritual Assembly of the Baha’i of Cupertino. A key Baha’i teaching is the independent investigation of truth. Humanity has reached the age of maturity and no longer requires an intermediary between the individual and God. Therefore, the Baha’i Faith has no clergy or priesthood whose responsibility it is to guide the rest of humanity. Baha’u’llah established a unique system of administration in which all members participate equally. At the heart of every Baha’i community — local, national, international — is an elected nine-member institution known as the Spiritual Assembly (local and national) or the Universal House of Justice (international). These administrative bodies have authority as an institution, and power is not vested in elected individuals. Every year, on April 21, the Baha’is of Cupertino, as do all other Baha’i communities in the world, gather to elect the members of the local Spiritual Assembly. All adult members of the community are eligible to vote and to be voted for. All Baha’i elections take place by secret ballot, with no nominations or electioneering. At present, there are over 20,000 Assemblies throughout the world. The centerpiece of Baha’i community life is the Nineteen Day Feast. Held once every 19 days, it is the local community’s regular worship gathering–and more. Open to both adults and children, the Nineteen Day Feast is the regular gathering that promotes and sustains the unity of the local Baha’i community. Although its program is adaptable to a wide variety of cultural and social needs, the Feast always contains three elements: spiritual devotion, administrative consultation, and fellowship. As such, the Feast combines religious worship with grassroots governance and social enjoyment. The use of the word “feast” might seem to imply that a large meal will be served. That is not necessarily the case. While food and beverages are usually served, the term itself is meant to suggest that the community should enjoy a “spiritual feast” of worship, companionship and unity. Baha’u’llah stressed the importance of gathering every nineteen days, “to bind your hearts together,” even if nothing more than water is served. During the devotional program, selections from the Baha’i writings are read aloud. A general discussion follows, allowing every member a voice in community affairs and making the Feast an “arena of democracy at the very root of society.” The Feast ends with a period for socializing. Membership of the Baha’i Faith is open to all those who believe that Baha’u’llah is the latest Manifestation of God and who accept the Covenant Baha’u’llah made with His followers about His Successor and Interpreter, Abdu’l-Baha, and the administrative institutions that govern the Baha’i community. A person becomes a Baha’i when they accept Baha’u’llah. This is something between the person and God and is very much a matter of individual conscience. An essential part of being a Baha’i is being part of the Baha’i community. Baha’is support the greater community through volunteering. 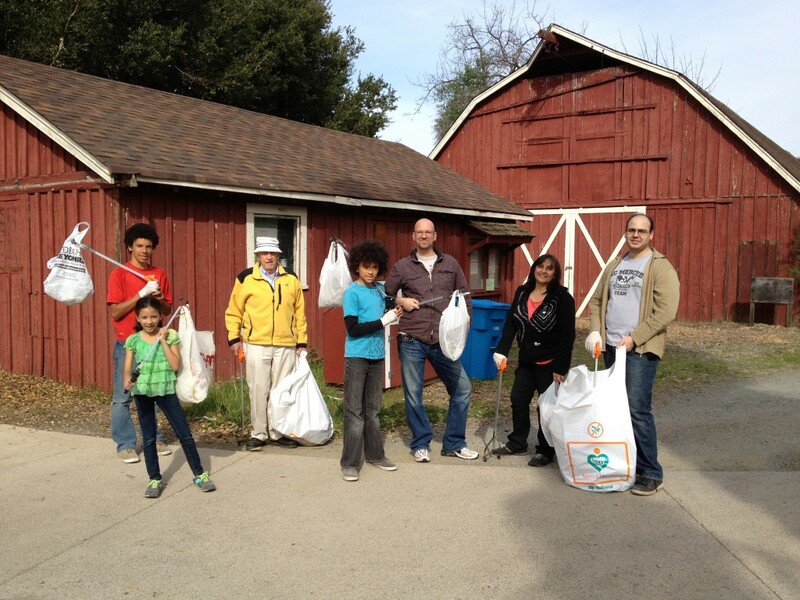 The Baha’i Community of Cupertino has sponsored the monthly cleanup of a 2-mile stretch of Highway 85 North between the intersection of Highway 280 and the Fremont Boulevard exit. Look for our Adopt-a-Highway sign the next time you are driving by.